You may be surprised to learn that there is much more to tree pruning than just improved aesthetics. Regular tree pruning actually promotes the health and longevity of your trees. Tree Pruning Promotes New Growth- By removing branches through tree pruning, the tree has less “competition” to grow and can grow more effectively. Pruning also leads to increased sun exposure and air circulation to the lower branches of the tree, which improves the overall health of the tree. It can also improve the production of tree fruits, and both size and quantity can be increased with selective pruning. Detect Tree Problems Early On- Pruning can vastly improve the health of your trees as branches that are dead or diseased are cut, preventing further damage or decay. 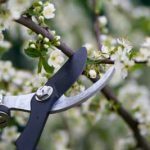 Regular pruning helps to prevent insect and fungal problems from spreading. That’s because diseases and insects like dead wood – and once they’ve established there, they will likely spread to the healthy wood on your tree and even the surrounding trees. Correct Structural Imperfections- We know that trees that are pruned when they are young require less corrective pruning as they mature. A tree can be pruned for structural integrity as it matures, but it is possible to correct structural imperfections of mature trees, as well. While these improvements have aesthetic appeal, they also promote the trees’ longevity and improve safety. Most importantly, removing weak limbs reduces the risk of them breaking and falling on a passerby; removing branches that are too close to a home remove the risk of costly property damage should a storm occur.